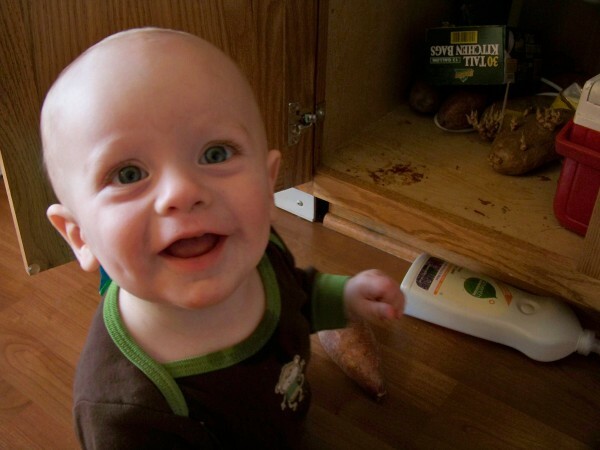 Who needs toys when you can play with stuff underneath the sink?? Yesterday, I shared about how we’ve found that our children are perfectly happy with a few toys. 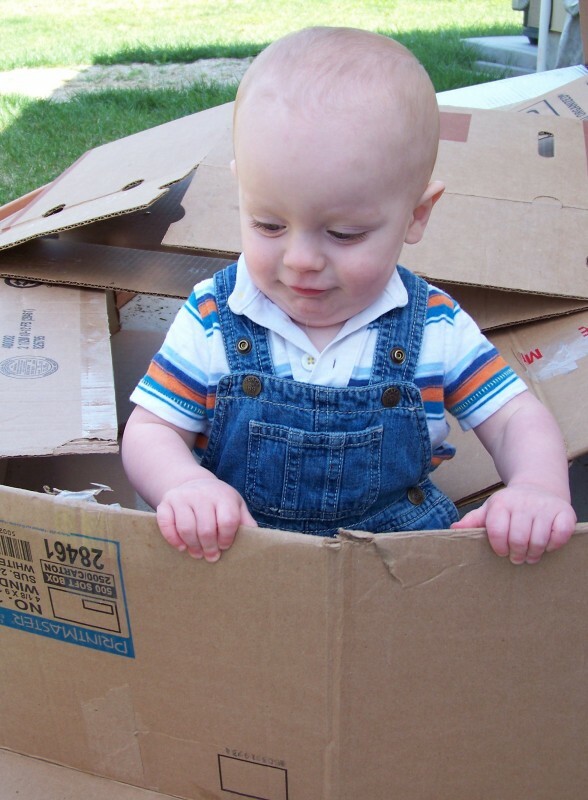 We’ve purposefully chosen to limit toys in our home because we want to train and raise children who are content and don’t feel like they have to have all the latest and greatest of everything. We love quality, versatile toys in our home: things like Legos, blocks, Melissa & Doug toys, dolls, tool sets, educational toys and arts and crafts. We try to have toys which encourage creativity rather than solely entertain. As I’ve said many times in the Clear Out the Clutter Challenge, there’s no point in keeping something around if no one likes it or uses it on a regular basis. Is it sitting around untouched for weeks on end? Is it broken? Does it have parts which can’t be replaced? Get rid of it! We live in a consumer-driven society where people spend much of their life working to climb some type of corporate ladder and get ahead. There’s nothing wrong with wanting to succeed in your job and do the best you can do, but we don’t have to buy into consumerism and stuffitis. Children need love and nurturing more than things. This point cannot be reiterated enough. Money can’t buy love. All the stuff in the world will never replace a relationship with your child. If we want our children to grow up with a generous heart and a selfless lifestyle that values what’s most important–people and relationships–the younger we can teach them these principles, the better. Purposefully keeping toys simple at our house and focusing on spending quality time with our children is one way we are seeking to instill contentment in our children–a quality we hope impacts and benefits them for the rest of their lives. ::Openly Communicate — Don’t harbor frustration towards well-meaning relatives. Instead, communicate your preferences to them. Perhaps they don’t know you are short on space or really would love it if they spent less money. Maybe they feel obligated for some reason. Whatever it is, come up with a plan to talk about the issues in a calm and loving manner. ::Express Appreciation — Always remember that the relatives are likely buying things for your children because they love them. In most cases, they aren’t purposefully seeking to annoy or irritate you. ::Present An Alternative — Don’t just go to Grandma and say, “Sorry, we don’t have room for your toys. Please don’t ever buy another toy again.” Give your relatives some options. Encourage them to pay for experiences and make memories with your children. Ask for consumable gifts, books, educational toys, clothes or other things your children need. Perhaps they could donate money to your child’s college fund. Or, request outside toys or even discuss them buying toys which stay at the relative’s house for your children to play with when they come over. ::Be Willing to Compromise — Just as you would like to see change on their part, be willing to meet them halfway–or more! It’s never going to be perfect, but by openly communicating in a loving manner and presenting some options and being willing to listen and show appreciation to them, you just might be able to come to a happy medium. Later on this week, I’ll be sharing some ideas for toy storage and organization–especially for those who are short on space and want to keep things streamlined. 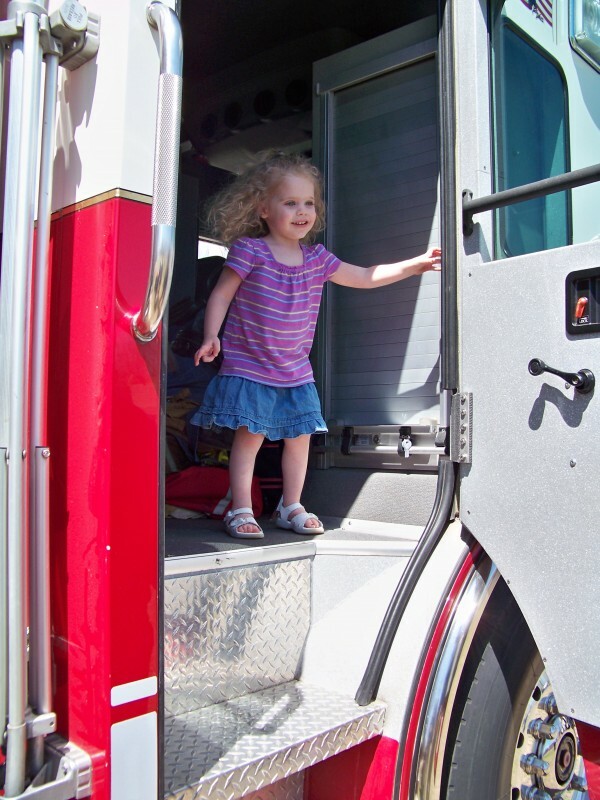 Kaitlynn checking out a real-life fire engine during a recent family outing. Memories last much longer than toys! When you come to our home, you might notice one thing right off: it’s bare. We don’t have many knick-knacks, we don’t have piles, and we have white walls. It might seem utilitarian to some and extremely bland to others, but it’s the way we prefer to live. It saves us time because we don’t have to spend a lot of time looking for misplaced items under heaps of clutter. It saves us energy because we don’t have a lot of extra things to pick up or dust. And it saves us money because we’re content with keeping it simple. Even though we have three young children, you won’t see many toys at our house. This is not because they are all stuffed in some closet or strewn about in a toy room. It’s because we just plain don’t have very many toys. You see, when we got married and had our first child, we were living in a tiny basement apartment. Space was scarce so we had no choice but to stick to the basics. If it wasn’t essential, we couldn’t keep it because there wasn’t any room. We grew to love living the minimalistic life and found that it made things so much easier to keep picked up and clean that we opted to continue living like this–even when we moved to a larger home. We figured at some point, our children would want to have more toys but we’d cross that bridge when we came to it. Well, so far, we’ve found that our girls really don’t need many toys. In fact, they are perfectly happy with a few quality, versatile toys. 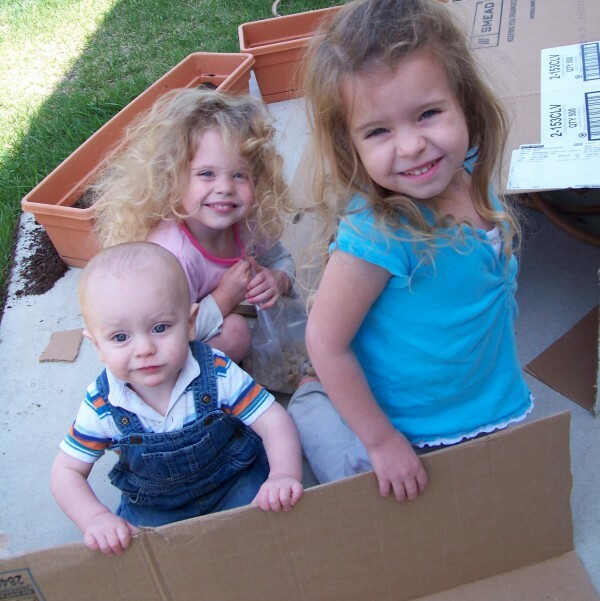 They’d much rather play with cardboard boxes or build tents with old sheets, folding chairs and couch pillows than have the latest and greatest gadgets and gizmos. The few bells-and-whistle toys we’ve had in the last couple of years served to entertain for a short while and then were abandoned for Legos, puzzles and creative play. Tomorrow I’ll share some ways we’ve found to keep toys simple, organized and pared down at our house–including ideas for dealing with well-meaning relatives who are adding to the toy overload at your house.